Get Professional opinion and management about your Finger Arthritis Today. Call us +65 97731458 to schedule for an appointment. Rheumatoid arthritis (RA) is a painful inflammatory disease that causes swelling, stiffness, joint destruction, and deformity. This autoimmune disease has an effect on the cells that coat and lubricate joints (synovial tissue). Osteoarthritis (the “wear and tear” arthritis”) may often affect just one joint even though it can affect multiple joints. 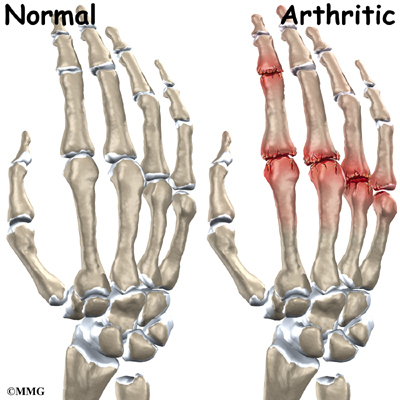 Rheumatoid arthritis, though, typically affects multiple joints and usually happens symmetrically. For instance, RA may affect the same joint group on both sides of the body. What are the symptoms of Hand and Finger Arthritis? Environmental factors such as a viral or bacterial infection. Hormones. RA tends to improve with pregnancy. Breastfeeding, and the postpartum period (the time after delivery), however, may aggravate rheumatoid symptoms. What is a swan-neck deformity? Rheumatoid arthritis is a common cause of a swan-neck deformity. With a swan-neck deformity, the base of the finger and the outermost joint bend, while the middle joint straightens. Over time, this imbalance of the finger joints can result in the crooked swan-neck position. (True swan-neck deformity does not occur in the thumb). A swan-neck deformity can make it almost impossible to bend the affected finger normally; it can make it difficult to button shirts, grip a glass, or pinch with the fingers. What is a boutonniere deformity? Boutonniere deformity, also called buttonhole deformity, can occur as a result of rheumatoid arthritis. With a boutonniere deformity, the middle finger joint will bend toward the palm while the outer finger joint may bend opposite the palm. This deformity may be the result of chronic inflammation of the finger’s middle joint. Treatment for boutonniere deformity may include splinting to keep the middle joint extended. Surgery may be needed.